RARE FIND! 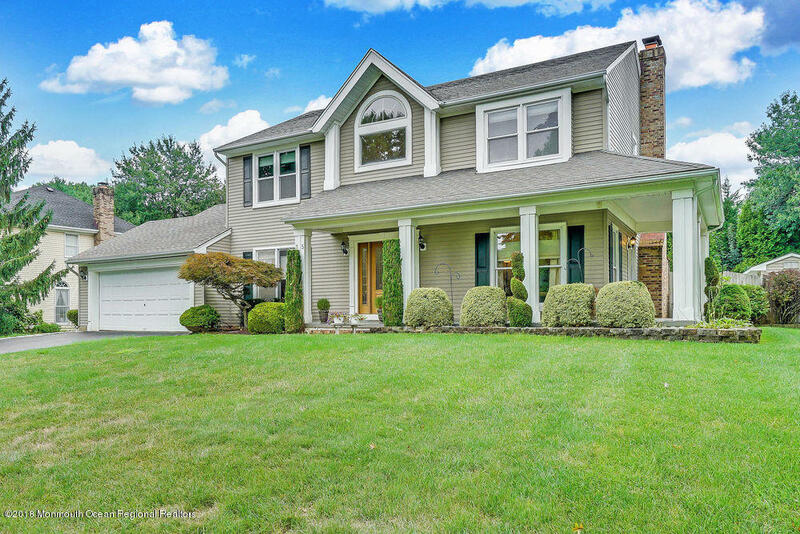 4 Bedroom Colonial w/Basement in Prestigious Crowne Pointe Development Located in East Freehold. This Home Boasts Two Story Foyer, Hardwood Floors & Recessed Lighting Throughout, Entertainment Sized Dining Room, Bright Sun Filled Eat In Kitchen w/Granite & SS Appliances, Butler's Pantry & Great Room w/Sliders & Wood Burning Fireplace. The Second Level Features Generously Sized Bedrooms, Master Suite w/Vaulted Ceiling, Walk In Closet & Gorgeous Renovated Bath w/Dual Sinks, Shower Stall & Tub. A Full Partially Finished Basement Provides Extra Living & Storage Space. Exterior Offers 2 Car Direct Entry Garage, Covered Wraparound Porch, Irrigation System, Country Club Backyard w/ Large Deck, Awning, Retaining Wall & Saltwater Inground Pool.